Civil engineering students are no exception to this issue. Interning as a civil engineering student can provide valuable industry connections and a chance to try out the different areas of civil engineering work. Not only can this help students map out a future career path, it can also help them make a decision on whether or not to pursue a graduate program in a specific field of study. 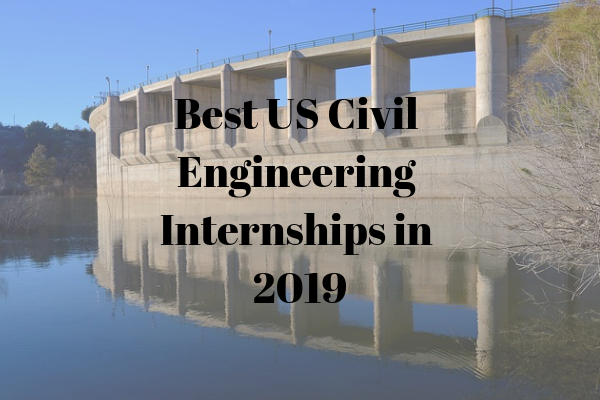 Continue reading below for our list of the 11 best civil engineering internships in the U.S in 2019. Stantec is a publicly traded company and a global leader in design and delivery projects. Founded in 1954, the company currently operates in 400 locations and employs approximately 22,000 people. Stantec’s civil engineers help communities plan and develop infrastructure to meet a community’s growing needs and can work from one of Stantec’s many offices around the world. They can also take on numerous different roles ranging from geo-technical engineer, bridge engineer, to water resources engineer. For civil engineering students, Stantec offers internship opportunities where students can collaborate with designers, planners, engineers, and project managers on small and large projects. As a Stantec intern, the student will work within a team and be exposed to various infrastructure projects that can include the design of urban areas and facilities. 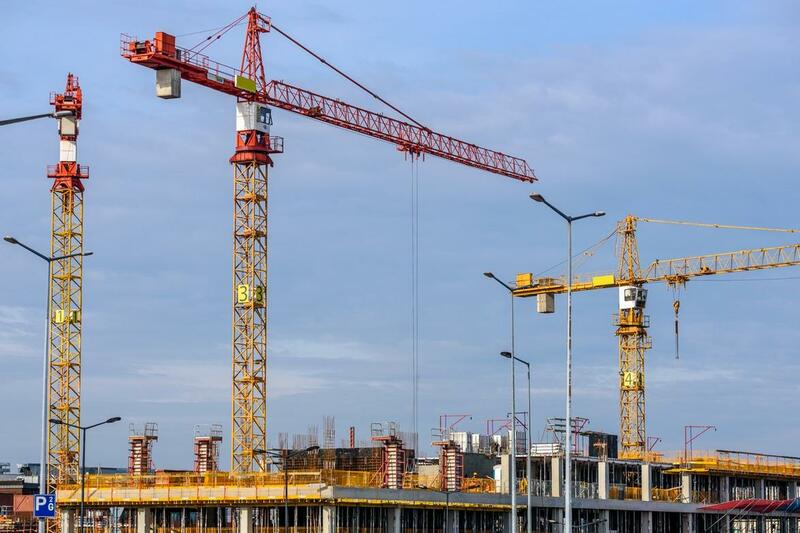 Daily responsibilities can include the inspection of current construction sites to check for their compliance with technical guidelines, performing quantity take-offs, writing daily reports, and coordinating with the construction testing team. To qualify as a Stantec intern, the student should be making progress towards a bachelor’s degree in civil engineering or a related field, such as construction management. Students can apply through Stantec’s website or through their university employment centre or campus recruiting event. If selected, most applicants will have to pass two rounds of interviews before receiving an offer letter. AECOM is a global company that has been listed in Fortune magazine’s “World’s Most Admired Companies” for four consecutive years. The company helps clients design and develop innovative solutions to solve their problems. Civil engineers working at AECOM use the latest technologies and are involved in innovative projects that address the biggest challenges in today’s world. Like all major firms, AECOM offers a variety of internship opportunities for students. Civil engineering interns at AECOM will work with experienced civil engineers to deliver clean water and energy, building iconic skyscrapers, planning new cities, and much more. Examples of the intern’s responsibilities include assisting their lead engineer with the design of projects as well as performing essential calculations and using computer programs to draft and write reports. To qualify to work as an intern at AECOM, the student should be working towards their degree in civil engineering or a related field. The student should also be computer competent and able to use standard office software as well as engineering software such as AutoCAD and MicroStation. Generally, university seniors are preferred and he or she should apply through a school recruiter or online. Once selected, the candidate will go through two rounds of interviews. If offered a position, the intern also has the possibility of becoming a full-time employee at AECOM upon graduation. Tetra Tech was founded in 1966 in California and has grown to have more than 250 offices throughout the country. The company works with clients in the federal, state, municipal, and private sectors on various planning and engineering services. Civil engineering interns at Tetra Tech will work in the water, environment, infrastructure, resource management, or energy sectors. Some key responsibilities the intern will have include supporting senior engineers on various civil design projects and performing fieldwork and visits to construction sites. To apply, the student should be in the second last year of their civil or environmental engineering degree or enrolled in a master’s program in civil engineering. Prospective interns can apply through a school recruiter or on the company’s website. Once selected, he or she can go through two or more rounds of interviews before receiving an offer letter. Successful interns also have the opportunity to go into full-time employment at Tetra Tech upon the completion of their degree. Bridges are an iconic part of any cityscape. For some civil engineering students, it is a dream come true to work on the design and construction of a bridge. Landing an internship at the American Bridge Company can take you one step closer to this goal. Founded in 1900 during a merger of 28 bridge and structural companies, the American Bridge Company specialises in the engineering and construction of unique bridges and bridge-building techniques. Today, the company is a leader in safety and innovation and ranks in the top five of the largest bridge and marine contractors in the Engineering News Record. Jacobs is a large engineering firm specialising in technical and construction services. The company is headquartered in Texas and currently employs 54,000 professionals in over 230 locations around the world. Civil engineering interns at Jacobs will work with professional engineers in industries such as PharmaBio, Chemicals, Refining, Pulp & Paper, Power & Utilities, High Tech and Consumer Products. Examples of responsibilities the civil engineering intern will have include applying engineering principles to projects, using engineering software to perform engineering tasks, collecting field data for evaluation, and supporting the senior engineering staff. To apply, the intern should be in their last year of a civil engineering degree and specialising in an area of study related to the internship, such as structural engineering or environmental engineering. Additionally, Jacobs also requires potential candidates to have a minimum of a 3.0 GPA and to possesses excellent communication, analytical, and problem-solving skills. Halliburton is an American corporation providing services and products in the energy industry. The company employs over 55,000 people across 80 different countries. Civil engineering interns at Halliburton will work in the petroleum industry on tasks such as cementing. They may help clients throughout the lifecycle of a reservoir, starting from the location of hydrocarbons to drilling and well construction. Interested students should apply through their college or university recruiter. If selected, he or she will interview with Halliburton’s manager or engineer. The questions will likely be behavioural questions, which are one of the toughest interview questions to answer and will require ample preparation beforehand. Peter Kiewit Sons, also known as Kiewit, is a large construction, mining and engineering company founded by two brothers in 1884. Today, it is a Fortune 500 company with a revenue of $8.7 billion in 2017 and employing a workforce of 22,000 people. Additionally, Kiewit has also been ranked as one of the top five contractors with a large internship program for students interested in working in the construction industry. Interested students should apply through their university recruiter or online. To qualify as an intern, the student should be pursuing their degree in an ABET-accredited civil engineering program. He or she should also have strong communication skills and be able to read and understand various engineering documents. Knowledge of basic computer programs as well as engineering software such as MicroStation and AutoCAD is also required. Once hired, interns at Kiewit will learn how to schedule projects and manage cost controls, as well as read and understand project specifications and engineering drawings. They will also use their knowledge of design standards and engineering codes to ensure design documents follow current industry standards. Collaboration with Kiewit employees from other levels and departments is also required. The U.S. branch of WSP originates from 1885 as Parsons Brinckerhoff in New York City. The company’s earliest projects include the design of the original New York City subway system. Today, it provides design and consultancy services across a wide range of fields and is one of the world’s leading engineering services companies. It employs 7000 people across the U.S. and provides civil engineering solutions in sectors such as transportation, water resources, and buildings. Civil engineering interns at WSP are usually recruited to work over a period of three months over their summer break period. The student should apply online or through their university recruiter and should be in the process of completing their civil engineering degree in an ABET-accredited program. The student should also have strong communication skills and be able to work in a team environment. Once selected, the intern will work on various civil engineering projects in and around their regional office. The federal, state and local governments also have many internship opportunities for civil engineering students. You can find these internship opportunities by going on the relevant government’s website. As a civil engineering intern, you will work on the owner’s side of projects and will be responsible for checking and approving a completed project. The U.S. Army Corps of Engineers is made up of 37,000 civilians and soldiers providing engineering services to over 130 different countries. A Pathways Internship Program is available for current students to gain meaning work experience before they graduate from school. Interested candidates should apply in person, through their university recruiter, or online at the Army Corps of Engineers’ careers page. If selected, he or she will go through one round of interviews with the division they applied to intern in. PCL Construction is a family of construction companies that work in numerous geographic areas across the U.S. Full-time employees at PCL receive competitive compensation and a chance to own part of the company. In addition, PCL offers an extensive internship program for students during their summer break, giving them a chance to experience engineering, management, communication and marketing roles to enhance their learning experience. Civil engineering students interested in a career in the construction management industry should consider interning at PCL. He or she should be a full-time college student working towards a degree in construction management, building science, or engineering and be proficient with Microsoft Office products. After applying through a campus recruiter or online, the student may be contacted for one or two rounds of interviews before receiving an internship offer. Civil engineering students across the U.S. can apply to internships across a wide variety of industries. These opportunities can be found in both the public and private sectors and help students gain an understanding of the scope of work in the civil engineering profession. Some of the best internships include positions at major engineering firms such as Stantec and AECOM as well as government offices in the public sector.